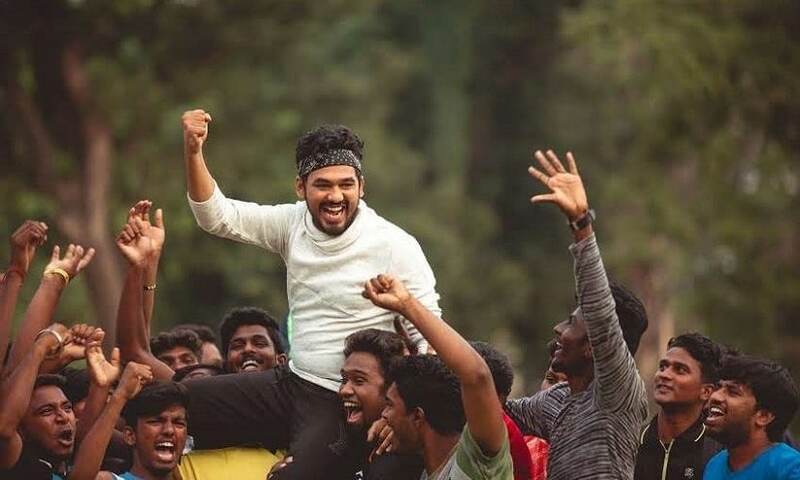 Natpe Thunai is a not a typical sports film but one packaged with Tamil commercial cinema elements on friendship, sacrifice and the rot within the political system. 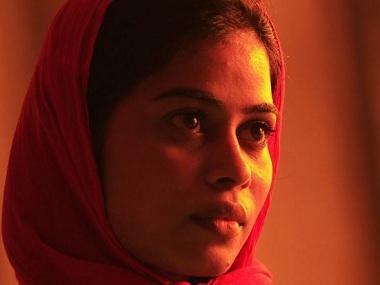 The plot of the film revolves around hockey but touches more on topical issues and politics in sports. 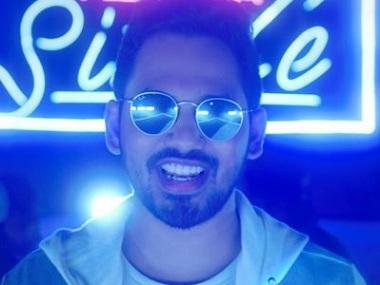 The idea seems to be to cash in on the hero, one part of Hip Hop Tamizha, also known as Adhi's image, as he is popular among young crowds. Not much of a story here, as the entire first half consists of fillers. The crux of the story is in the second half and the real meat is in the climax hockey match. Prabhakaran (Adhi), like all heroes in Tamil youth films, is a carefree young man who goes around with his friends and enjoys life. He lives in Pondicherry and is planning to immigrate to France. He has to go to Karaikal and stay with his uncle to get his nationality verification. There he falls for Deepa (Anagha), a hockey player. And through her he meets Shanmugham (Harish Uthaman) the hockey coach who trains boys and girls in the local ground. A still from Natpe Thunai. Meanwhile, a multinational company together with sports minister Harichandran (Karu Palaniappan) wants to grab the playground gifted by a former Olympic player. 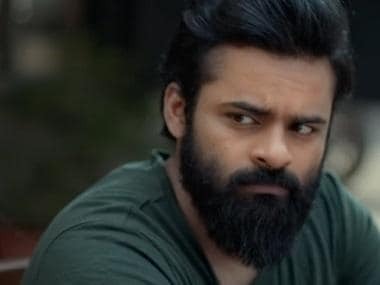 Enter a reluctant Prabhakaran who has a back story of being the hockey captain for India under 19 team, but has now given up the game due to politics in the selection process. The hockey federation led by a corrupt coach has dismissed him on grounds of being “mentally unsound”. Prabhakaran join hands with coach Shanmugham to save the ground from being taken over by an MNC and corrupt minister. The deal is if Prabhakaran leads the team and wins in a particular championship against an opposing team which has “national “players (a take on IPL? ), they can keep the ground. Will Prabhakaran and his team in yellow (a reference to Chennai Super Kings ) win in the hockey match? This forms the rest of the story. The film has been etched from various earlier films including Shankar’s Gentleman, AR Murgadoss’s Kaththi and a few sports films. The director Desingu Parthipan should have trimmed the first half, as it has scenes which are not relevant to the main plot. Maybe it was added to please Adhi’s mass hero image. In the end titles, Adhi is also credited as “creative director”. The best scenes in the film are the 20 minute long climax hockey match, which is adrenaline-pumping and shot very well. There are five songs in the film which hampers the pace of narration, though Adhi’s music and background score, especially the 'Kerala Song' is catchy. Among the performers, director-turned-actor Karu Palaniappan is fantastic as Harichandran, the politician and antagonist. His dialogue delivery and style is sure to make him popular as a character actor in Tamil cinema. Half a dozen Youtubers also make an appearance in the film. Ultimately, Natpe Thunai has its moments, especially its terrific climax; otherwise it is just another run-of-the-mill film, catering to a specific audience.